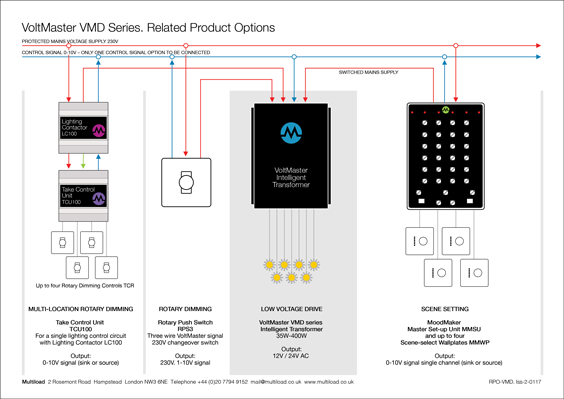 Dimming via 0-10V signal from compatible controls, including MoodMaker Scene-setting System. MoodMaker scene-setting system, easy to install, easy to use and highly reliable. 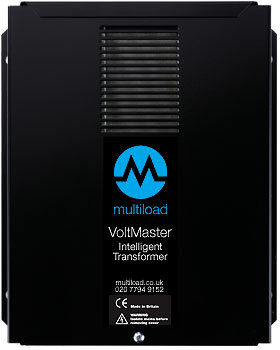 Enables VoltMasters to be switched and dimmed from up to four wall plate locations with each Take Control Rotary (TCR) seamlessly taking control of both dimming and switching.